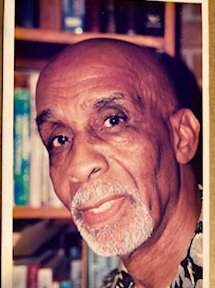 Anthony Horatio Harrison was born on February 13, 1933 in Kingston Jamaica, and the founder of the African Bookstore. In the 1990's Anthony Harrison, after working several years as a Precision Machinist, in the United Kingdom and the United States, always believed that his children along with his community should constantly engage themselves with constructive information. Through this firm belief he started to sell books. Anthony Harrison sold books from his vehicle from 1992 until August 1994, after which he opened the first African Bookstore in Broward County, Florida. The store flourished and therefore with that success he continued to support and encourage economic stability, self-reflection, independence, and empowerment of the community he loved so much. The African Bookstore is now under the leadership of his daughter Yvonne Harrison-King who has taken on a more advanced approach through the new millennium by enlarging the African Bookstore website with new selections and gifts. African Bookstore continues to inspire others to read, and is a firm believer in the educational process of self-knowledge and enrichment.